Manhattan is not known for its affordability, but occasionally the city bestows mercy on our wallets. 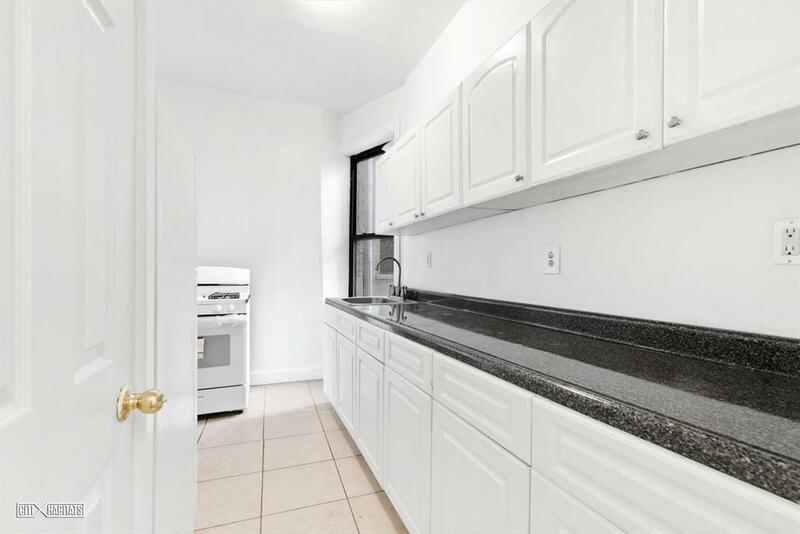 This rent-stabilized Washington Heights 1-bedroom offers Manhattan living at a price point that’s hard to pass up. Best feature: This apartment is a whole lot nicer than what you would expect for $1,650. 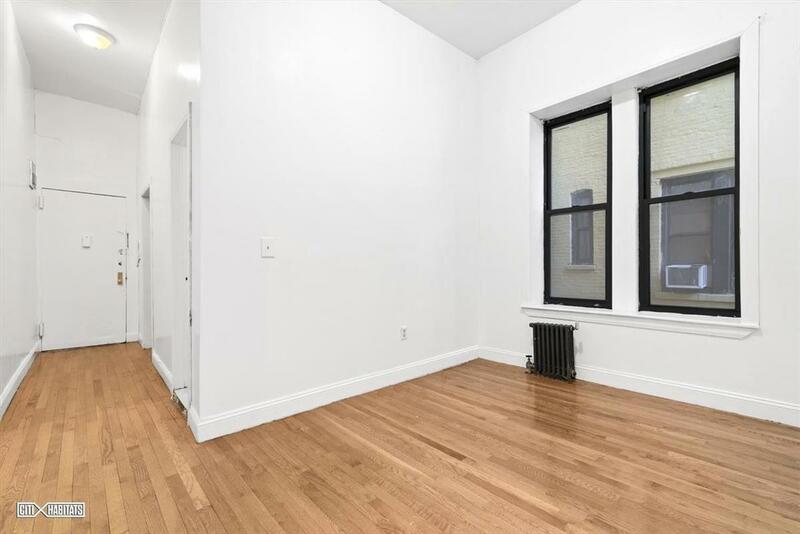 Instead of dark and dingy quarters, the space offers the perfect blank slate for a solo renter. The kitchen is narrow, but provides ample counter space for meal preparation and your favorite appliances. A wall of overhead cabinets provides additional storage. The bedroom doesn’t skimp on storage space either. There’s a full closet with additional cabinet space above. While it’s not a luxury listing, it is clearly in good condition and clearly a good price. We get into that below. 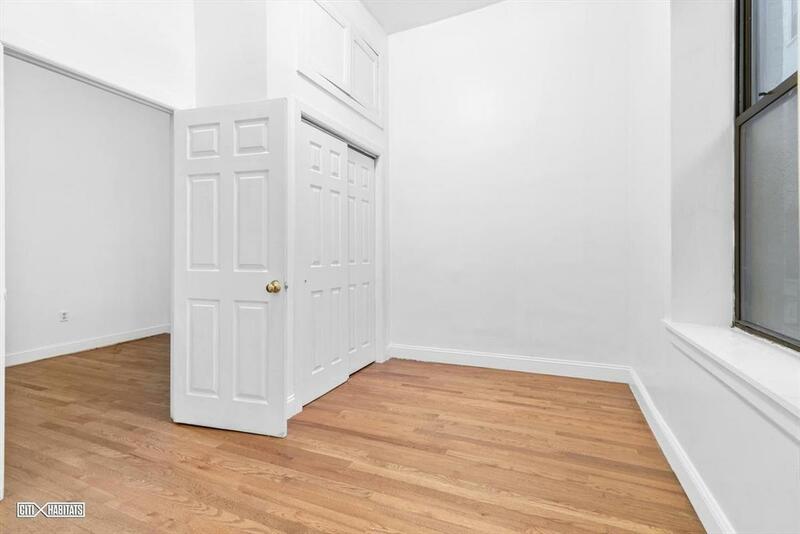 Why it’s a deal: This Washington Heights 1-bedroom offers serious saving compared to both Manhattan standards and neighborhood standards. According to the most recent data, the median asking rent for a 1-bedroom in Manhattan is $3,250 and $1,795 in Washington Heights. As a bonus, the unit is also rent-stabilized, which means the landlord can’t jack up the price at the end of the lease term. While the listing price of the unit is certainly low, there may be a broker’s fee. Interested renters should contact the listing agent for more details on any fees associated with the unit. Biggest drawback: While Washington Heights is in Manhattan, it’s a trek from downtown and offers much more limited nightlife. If you want to be in the thick of the city’s going out scene, you may want to give this place a hard pass. How Do I Afford Rent in NYC on an Entry-level Salary?